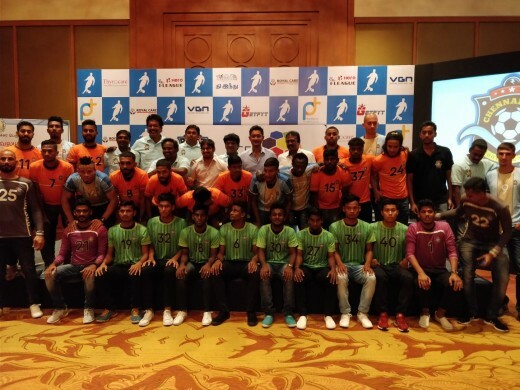 Chennai City FC is moving their base to Coimbatore in a bid to promote the sport. For the football crazy fans from this part of the region, there's good news coming your way as the City is all set to host the prestigious Hero I-League football at the Nehru Stadium here. 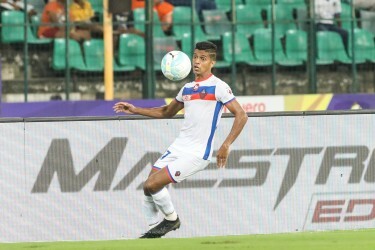 The credit must certainly go to the Chennai City Football Club (CCFC). The Chennai-based outfit has moved to Coimbatore with a greater focus on not only promoting the sport but also to inject a fresh lease of life. Football was once the most sought-after sport in Coimbatore. Fans from in and around the region and from the neighbouring States of Kerala and Karnataka used to throng the Nehru Stadium just to have a glimpse of their favourite stars in action. Not anymore. From being the most popular, the sport has now sort of faded away. CCFC's entry into Coimbatore has now given the sport that extra flip. The team chose the City with the hope of bringing back the fans and with it the lost glory. It was not an easy task though for the team. It had to cough up quite a few crores just for bringing back the weary-looking Nehru Stadium to life. The renovation work, such as laying the grass, setting up media boxes, doping control and dressing rooms, are on at full throttle and it is expected to be ready before mid-December. "It's going to be a huge task in terms of money and much more but I believe the football-loving people of Coimbatore and the Corporate companies will come forward to travel with us in our journey to promote this sport," said Rohit Ramesh, the CCFC owner. He said it is not only about promoting football. "We are actually shaping heroes out of the State players. "Eighty percent of the players are from Tamil Nadu. We want to give them a chance and bring the best out of them that they may represent the big stage in the years to come. We have players from Chennai, Tirunelveli, Dindigul, Tiruchi, Erode, Madurai, Kanyakumari to name a few." R. Krishnakumar, CCFC's Chief Executive Officer and co-owner, said it is also about bringing some business to Coimbatore. "The Hotel industry may pick up business and with the away teams and the fans coming to Coimbatore will also help in promoting tourism." After a long time, the Nehru Stadium will see some of the top teams such as East Bengal, Mohun Bagan, Churchill Brothers, Minerva FC, Indian Arrows, Gokulam FC, Aizawl in action, which will be spread from December to April next. And CCFC will play its first home match against Kolkata giants East Bengal on December 23. The team officially launched its jersey at the Vivanta by Taj in Coimbatore on November 19 in the presence of the Honourable Minister for Municipal Administration and Rural Development Thiru S.P. Velumani and Honourable Minister for Youth Welfare and Sports Development Thiru P. Balakrishna Reddy.